looking up/looking down is a blog dedicated to writing, reading and watching the world. But among the several hats I wear in my professional life is the editor’s hat—and editing is closely involved in writing and reading: the editor always serves the needs of the publisher, the author and the reader. So there will be an occasional piece relating to editing, too. Here’s a version of a paper I gave recently at the Institute of Professional Editors (IPEd) national editors conference in Perth, Western Australia. I would especially like to acknowledge the generosity of the fifteen authors who contributed. They are listed at the end of the paper, along with links to make it easy for you to find out more about them and their work. 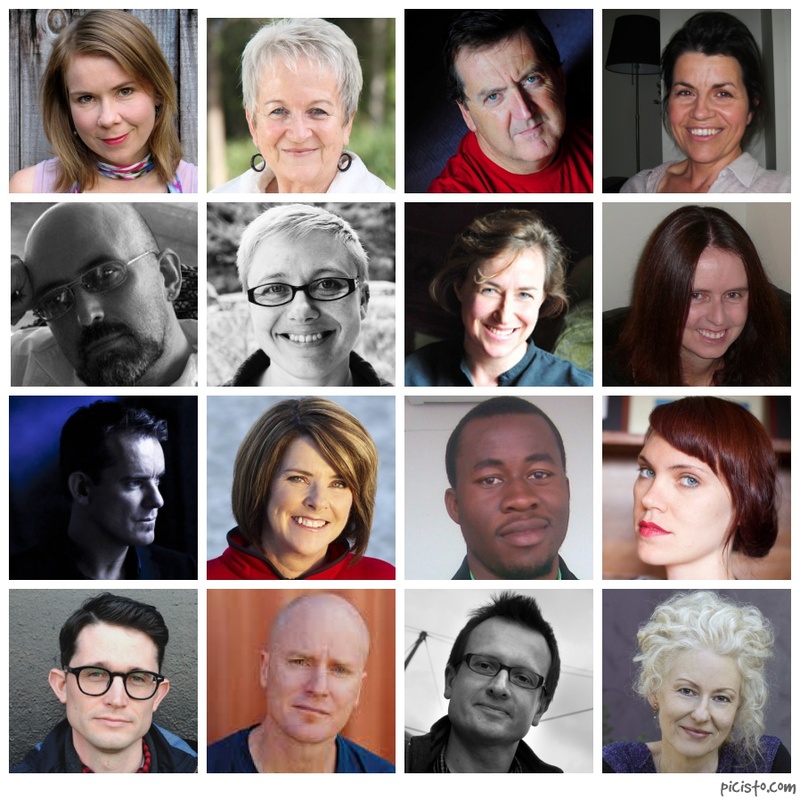 I hope you will; they are all exceptional writers. I inhabit a space that could be called the borderlands—a place where I sometimes wear two hats at the same time, sometimes juggle two hats with a dexterity that is possible in metaphor in a way that it is not in real life, and sometimes hide one hat in a cupboard while wearing the other. I am talking about the roles of editor and author. I have been a freelance book editor for more than 25 years and an author for considerably less time than that; my first book was published in 2008 and the third this year. As someone who occupies these two roles, I am often asked to take part in publishing panels at writers festivals, conferences and other events, and it is usually in the context of explaining the editing process to authors—communicating how editors work, the different kinds of editing, what each process involves. In workshops, master classes and mentoring sessions over the past few years, I have taken every opportunity to talk about how authors can make the most of their experience of being edited, and to give them practical advice on things they can do to assist the process. But here I am wearing the other hat, talking to my editing colleagues about what the editing process feels like from the author’s perspective. And to tease out whether there are things editors can do—things we are not already doing—to enhance this process, make it easier or more effective or more reassuring for authors. I did not want this to be an all-about-me session. First, because although my expectations and experiences as an author have much in common with those of any other author, they cannot help but be coloured, in part, by the fact that I am this hat-wearing, hat-juggling, hat-hiding border-dweller. And second, because it is far more interesting to hear a range of voices, encompassing a diversity of experience and publishing contexts. To that end, I have enlisted the assistance of writing friends in Australia and overseas—for the latter, taking advantage of international residencies undertaken in 2011 and 2012. All but one of the generous respondents to my brief, informal survey are fiction writers (although some also publish in other genres) and the other is a poet. Let me begin by revealing an extraordinary fact about writers. Some of you might have an inkling about this already, but it is generally a mysterious, unknown phenomenon. Writers hear your voice when you are not saying anything. I know this to be true of myself, but it was not until I overheard a group of writers talking at a festival that I realised it was not just me. One of the writers—well-established, award-winning—said: I handed in my manuscript on the due date and haven’t heard anything since. The editor obviously hates it and can’t bring herself to tell me. I said writers hear your voice; I did not say they hear the truth. Since then I have heard writers express many versions of the same, and it’s evident in a couple of comments from my writer friends. For many of us, I think that space in which we wait for the editorial letter to arrive is one of deep uncertainty, in which much of our previous confidence in the work is abandoned. It’s always helpful to be reminded that we are not hopeless and our manuscripts do have promise and that is in fact why they are in the happy position of being edited, as ridiculously self-evident as that may seem. The voice Meg hears—the editor’s voice—is saying: Meg is hopeless. Meg’s manuscript has absolutely no promise. I can’t imagine why we’ve contracted it. No one actually spelled out whether it was okay for me to reject editing suggestions. There were a couple of suggestions that I felt did not serve the novel. I feared that if I didn’t act upon the editor’s advice, the publisher might change her mind about proceeding with my novel. There is that voice again: Robyn had better smarten up and agree to that suggestion in chapter 6 or I’ll bury her novel in the chamber of non-starters. As a writer, I understand the anxieties underlying these comments, and as an editor I have observed them in the authors I have worked with. Here you are, with your hard-earned creative output that’s as precious as a newborn, being told, albeit in the most diplomatic and encouraging terms, that your baby is not quite perfect, that he needs reshaping, reworking, re-creating—that even the name you’ve so carefully chosen is now under scrutiny. Who wouldn’t feel a little wounded? In spite of the ultimate rewards, the process is not, as Cate Kennedy observes, a fundamentally reassuring one for writers. Reminder: Never underestimate the author’s vulnerability. Neutral silence will usually be interpreted negatively. The second point is about communication. It is easy, and understandable when editors are so busy, to forget that a new author does not necessarily know what is expected of them; to assume that a successful author knows their manuscript is original and exciting and does not need to be told this; to neglect dashing off a quick email to let an author know you have begun work on their manuscript because they should already be able to see this on their copy of the schedule. I have always felt that ‘learning’ your author is essential to the relationship and to the success of the whole editing process—finding out what they do and do not know about the process, what their comfort zone is with things like Track Changes, whether they are familiar with the publisher’s house style, whether they are likely to speak up when they should (or possibly just speak up incessantly—it is good to know that, too). And with many if not most authors, a lot of anxiety can be defused by a quick email to stay connected—something as simple as everything’s going to schedule and I’ll be in touch by Friday week. Reminders: ‘Learn’ your author by asking questions. Err on the side of generosity when it comes to keeping authors informed of what is happening with their manuscript. The authors I surveyed recognise good editorial skills as crucial in bringing a book to its full potential. Often this seems to involve asking questions of a narrative from the position of an ‘ideal reader’; at other times, answering questions the writer has about the work but lacks appropriate answers. This insight is the thing that I most value in the writer–editor relationship, a kind of clarity of vision and steely intelligence and determination and belief that draws out into the light what might otherwise remain hidden. the way in which a good editor approaches the manuscript on its own terms. They see what the work is trying to be/do, and help guide it towards becoming the best version of that, rather than steering it towards being any kind of version of something else. Knowing whether the overall plot structure is working, whether characters are interesting and believable, whether there is or isn’t logic to how they act/think/talk. Once I wrote something like ‘It was the week before Christmas and she was at home watching the tennis on TV’, and my editor wrote: ‘The tennis is not televised until January’. Excellent! Picking up on overuse of certain words or even repeated images is another great feature of a good editor. forensic eye for timelines, which is a lifesaver for me. However many charts I make of the characters’ ages at certain times in relation to the other characters, to their life events or major social or political events, I always mess it up. He is the man who knows a great deal about me. He knows my history, he knows my sorrows, anxieties, personality, qualities and shortcomings. He knows the best way to handle me (and I know he knows)…He was a gift. He sent me articles that could interest me, prodded me if he thought it was necessary, arranged meetings/dinners/parties to give me the chance to meet authors/actors/artists, and once in a while we would quarrel, as in every good marriage. But Bart recognised that this relationship was ‘old school’ and ‘belonged to the past’, and that the place of marketing and sales departments in publishing houses is more important now than before. I was interested to see differences among authors emerging when it came to how far editors should go in making specific suggestions once having identified an issue with structure, logic, emotional connection, psychological credibility, etc. when the editor does not try to ‘rewrite’ the passage or add anything of their own, but rather acts as a kind of ideal reader, willing to give their honest reaction as they read, leaving the rewriting/recasting/rejigging up to the writer. It’s really helpful when an editor writes something as simple as ‘Why does he say this now?’ or ‘This reaction feels over the top’, making me push for better expression or more clarification. In contrast, F. G. Haghenbeck loves it, he says, when editors ‘really edit’—‘when the editor is involved in the construction of the story, making proposals, changes, even big changes, to make the story the best it can be’. He even advocates bringing in the editor while the book is being written, though he concedes that both parties need ‘100% trust’ for that. What I most appreciate, having reached the end of my own vision for a narrative, is the application of an editor’s insight into potential avenues for further exploration. This could be in regard to extending a particular character’s influence in a story, or something as macro as structure. If she wants me to know something isn’t working she always explains why she thinks that, and she suggests ways it might be dealt with. I don’t always make changes in the way she suggests but her suggestions always help me to work out how I do want to handle it. I thought the ideas were interesting. I said I’d think about it. Driving home, though, my mind started to fire. As soon as I got in, I started writing. My editor’s ideas sparked off so much, triggering an avalanche of ideas, inspiration but, most importantly, enthusiasm. My writing took off. Ted Thompson tells of having had a fantasy ‘that I’d have a creative collaborator, someone who could crawl inside my book and fix it with me’, but then found it ‘surprising and refreshing’ when she was, rather, ‘a sort of acupuncturist—pointing out tiny lapses in logic or tics in the writing that go on to have large implications for the book’. did not tell me, at any time, that a certain thing was not working. He did not ask if he should remove a scene or not. He dove in, did what he thought was best and asked for my approval. In the end, I had very little to add. Because he’d used my words, metaphors and phrases throughout, it was difficult to disapprove of anything in the text he sent. The process was bliss. Chigozie concluded: ‘I want my work to be loved through and through. I believe that if it is loved so, the editor will push it to the best possible place’. The ‘writing down’ is important. I will try not to talk about it. I will think about it in silence, and if I think the editor is right, I will make a change—in silence. Poet Adam Zdrodowski spoke of his editor identifying ‘places that may need some rewriting’, but also valued his editor’s ‘suggestions that helped me get rid of poems that could have made my book a bit repetitious, and choose some of the new poems to be included’. The framework for editing a collection of poetry is something outside my own experience, but it seems, from Adam’s observations, that there is scope both for identifying issues and for making substantive suggestions, just as there is in editing prose fiction. A. J. Betts’s responses demonstrate that editors often walk a tightrope in handling authors’ expectations. ‘I don’t expect the editor to solve specific areas that don’t work for me’, she said, ‘just highlight them so I can solve them myself’, but also noted that when ‘really desperate’, she did wish her editor would give specific suggestions on how a problem might be fixed. Putting on my author’s hat for a moment, I think I am happy enough for an editor to make suggestions, as this may help me to better understand the issue that has been identified—the why of it, the possible implications—which often leads me to find my own solution. And now switching hats: as an editor, I am not sure I have always got the balance right on this matter, but a strategy I have used instinctively in the past is to keep a note of possible ‘fixes’ or approaches that might occur to me, in the event that the author does ask for specific suggestions, but first wait and see how they respond to the issues raised. In the case of rewording, I always preface any suggestion with something like this? (the question mark is important) or here’s an idea of what I mean, although I’m sure you’ll come up with something better. So in essence, this too is another communication matter, part of learning the author: in the first instance, subtly teasing out what is the best approach to take, and then maintaining a connection throughout the process, alert to when an adjustment in approach might be needed. Reminder: Do not assume the author wants specific suggestions about how to ‘fix’ an identified problem. I do find it reassuring to have some sense of what is good in the manuscript, where the strength lies in the bones I’ve laid out. I’m of course not talking here about vague, ego-boosting praise, but specific praise for elements of the manuscript which are strong, which are working. It would be great occasionally if editors didn’t solely focus on faults and structural flaws, and just jotted something like ‘this part works beautifully’ or ‘I loved this exchange’. If you feel moved by something positive, TELL the author. It’s a real boost. I know I sometimes forget to do this often enough when I am editing, and I have resolved to do it more, because I know how helpful—and gratifying—it can be to see those little ticks along the way from an editor whose judgment you trust. There are no qualitative assessments (nothing about likes and dislikes). It’s all practical, focused, and based in the text. This, to an obsessive self-critic, is an enormous relief. He did add, however, that ‘every writer wants some impossible mix of enthusiasm and reassurance’. It is easy, especially when you write poetry (which generally does not have a large following), to lose faith and stop believing that what you do is important and you should devote a lot of energy and effort to it. I really need that reassurance as an author. When Denise Deegan was unsure about a risk she was taking in one manuscript, it was her editor’s expression of confidence that gave her the confidence to make that risk pay off. A. J. Betts observed that ‘too much negativity overpowers the positives’, while Caroline Hamilton listed as one of the essentials in an editor ‘honesty—but not brutal’. Josephine Rowe made a sensible, practical point about terminology: that ‘sending a writer corrections of their manuscript is a terrible way to begin a conversation’. Reading this last comment immediately gave me a shiver: have I ever inadvertently made this mistake? 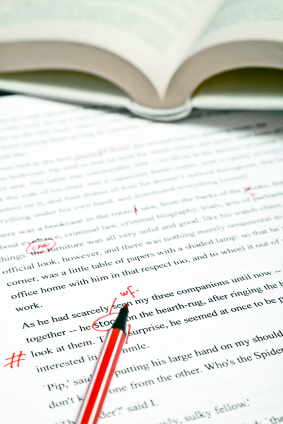 When copyediting, we do make corrections—for consistency, for example, or in the service of house style. But even in copyediting it is a word that has the unhelpful effect of implying a hierarchy. In the structural editing of fiction, it has no place at all. Striking the right balance between praise and criticism, positives and negatives, is another aspect of the author–editor relationship that comes from learning the author. Authors do not want shallow, empty compliments, but most will appreciate being told when you—as an engaged reader—feel that thrill of knowing you are in safe hands, when something is really working, when you are moved to tears, laughter, anger, despair. Reminders: Do not assume your experienced, multi-awarded author is secure enough not to need a balance of praise and criticism. Take care with terminology: words like comments, observations and responses (structural editing) and amendments (copyediting) are preferable to corrections. Preparation and engagement with the work rank highly in authors’ expectations of their editors. a relationship of trust that will grow from discussion rather than dictation, and play out as guidance from a mentor. I expect the editor to be intimately engaged in my manuscript, that they ‘get’ the nuance of what I am striving to convey. I expect that they can substantiate suggestions for change and genuinely consider my responses to those suggestions. A. J. Betts appreciates the editor ‘doing multiple readings and being very prepared prior to meeting with me’, while Liz Byrski praised her editor’s immersion in the manuscript, saying: ‘she seems to know the story and the characters as well as, or even better than, I do’. ear for the voice of the writing itself…where an editor might, for example, annotate a line with the comment ‘Repetition. Re-word?’ when the repetition is clearly intentional in the context, for patterning or contrast with other elements. Or she might query a poetic use of language—‘Usage is not grammatical. Please revise’…As a poet who’s turned to writing for children…I would tend to privilege things like rhythm over rules and if an infinitive or two is split in the process, so be it. Meg went on to say that whenever she comes across an indication that the editor has not thoroughly engaged with the manuscript, it can have the effect of ‘undermining my faith in the validity of her reading in general, and that has a flow-on effect into how the process/relationship unfolds’. So the success or otherwise of the author–editor relationship can hinge on this issue of preparation and engagement, which, in essence, is a measure of the editor’s professionalism, instincts and skill. Reminders: Be well prepared. Be very familiar with the elements of the work, and come to grips with what the author is trying to achieve. Substantiate suggestions for change. Avoid perfunctory queries. As I have been talking a lot about communication, I am going to close with a few comments from respondents on practical matters of communication. I’ve found my favourite editors are those who will pick up the phone when there’s a particularly tricky aspect that needs ironing out. Written communication doesn’t allow for the same fluidity of ideas and narrative possibilities as a verbal conversation. A phone call can be much more effective than batting something back and forth, and is generally less time-consuming. This comment really struck a chord with me, as I have often thought how exhausting email ‘discussion’ can be. It does, of course, have the virtue of easy, traceable documentation of decisions made. With phone and face-to-face communications, we still need to make a note of the date and the outcome of discussions, to keep on file. A. J. Betts noted a preference for email communications, in the context of wanting her editor to be ‘easy to access’. Liz Byrski appreciates ‘notes and mark-ups that are really neat and easy to read’, clarity about deadlines for revisions, and gentle checks on how she is progressing. Sometimes schedules do get thrown out of the window. I really think it’s important that the editor knows when to crack the whip and when to leave well alone. I’m happy to work quickly if necessary, as long as I know in advance and can adjust my schedule accordingly. Just as I don’t expect that I’m the only author an editor is currently working with, so I’d like editors to remember that I’m probably doing many other things as well. Above all, [my editor] listened to me. I mean really listened. And as a result, I listened to her. Reminders: Be flexible. Be clear. Be a good listener. Before embarking on my informal survey, my view from the borderlands was that editors generally seem to be serving their authors well, and are getting better at doing so all the time. The introduction of professional standards (Australian Standards for Editing Practice), IPEd’s accreditation scheme, increasing opportunities for professional development through national conferences and society training sessions—all have made their mark. Studying the comments offered by my writer friends has not shaken this view, but it reminds me that all the things we are doing right can still be done better, and it highlights, for me, the centrality of communication in all we do. It is my hope that bringing authors’ voices into the conversation will contribute to the further development of the editor–author relationship, that it will help editors to get the best from the authors they work with.